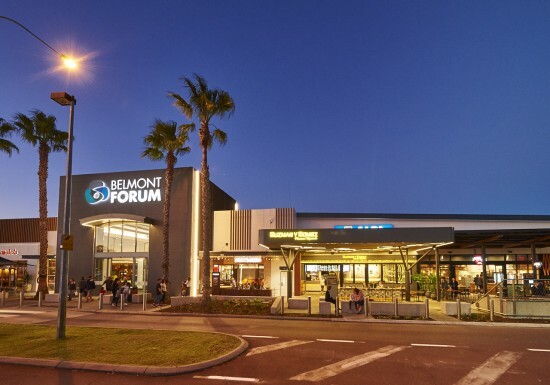 Belmont Forum is a 46,000m2, sub regional Shopping Centre located 8kms from Perth CBD and 4kms from Perth Airport. The centre includes three major supermarkets - Coles, Woolworths and ALDI, plus Big W and Kmart. In addition, the centre houses JB Hi-Fi Home, Cotton On Mega, Bed Bath & Table, House, Best & Less, 110 speciality stores and 7 restaurants all trading late into the night. The centre recently redeveloped is enjoying a growing customer base which delivers consistently strong traffic and sales results. The recent redevelopment has seen the centre deliver a rejuvenated hub for convenience, shopping and dining meeting the needs of the rapidly evolving trade area.